Just us for our Health & Wellness Panel. Ask the question to be informed regarding fitness in mind, body & spirit. Coffee Club Goldenrod meets the second Thursday of the month at Baldwin Fairchild Dignity Memorial on Harrell Road. the format of this Gorup includes a fun networking activity or guest speaker with some open networking. 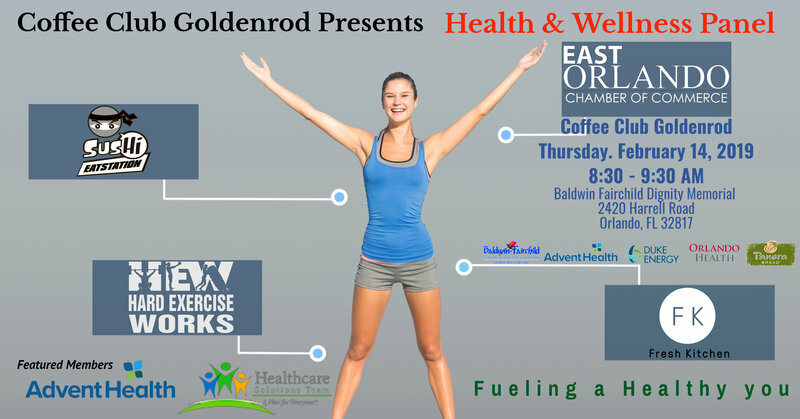 The event is FREE and open to everyone, thanks to our sponsor, AdventHealth, Duke Energy, Orlando Health and Panera Bread for providing coffee.